Move in and unpack! 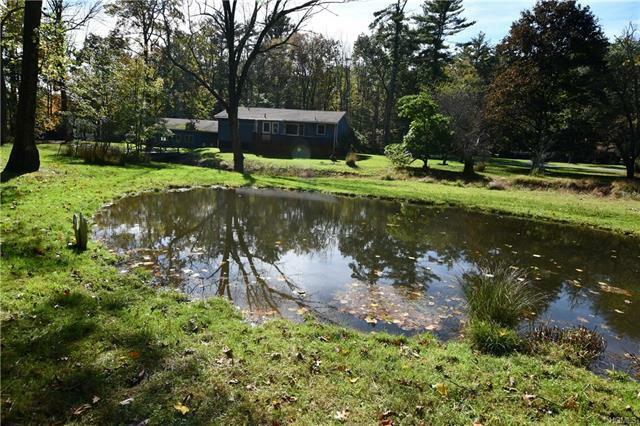 Beautiful updated ranch in the charming town of Eldred, NY. This home has been completely updated; offering 3 bedrooms (large closets in each one), lovely updated bathroom with 2 vanities, big kitchen/dining room (open concept); the living room is big and bright with tons of light and a powerful pellet stove that heats the whole house; large basement (storage/workshop); access two car garage through breezeway (great spot for a hot tub). Home sits on a a gorgeous property that boasts its own creek/pond, backyard is simply stunning with mature trees (including fruit trees) and flowers. Recent updates includes: new electrical (upgrade 200 amp), new kitchen appliances, new floors. Great home (or vacation) with excellent potential for extra income with airbnb. House is located a few minutes from quaint towns, farmers markets, Bethel Woods Center for the Arts (original Woodstock concert site), Delaware water gap, Lake superior and tons of great restaurants.